Image editing is always fun in Photoshop. With Adobe Photoshop Express, an online version of Photoshop, you don’t even need to install Photoshop on your computer. You just need a computer with decent internet connection. While looking at Photoshop Express, We made a list of other online photo editors. While some of them were simply rubbish, others were really really good. Letâ€™s check out the top 5 online editors except Photoshop Express. 1. 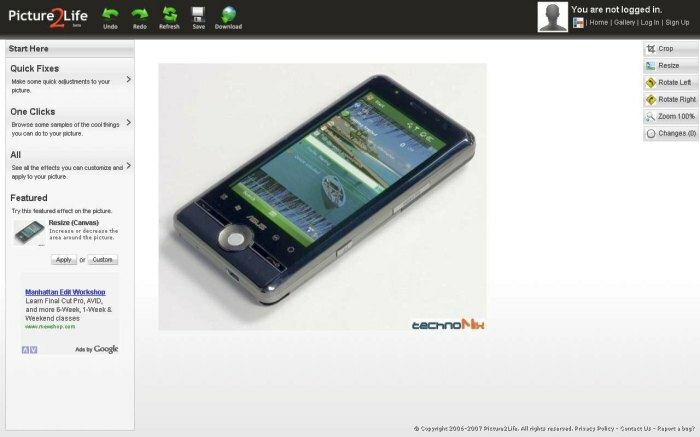 Picnik: This is undoubtedly one of the most famous online image editors. It has some great features like Layers support, Red-eye correction, Rotate, Resize, Exposure etc. It is tightly integrated with Flickr. In fact it looked like Picnik was a product of Flickr. You can also upload image for editing, Acquire from webcam or use URL for image uploading. Runs on almost all browsers. 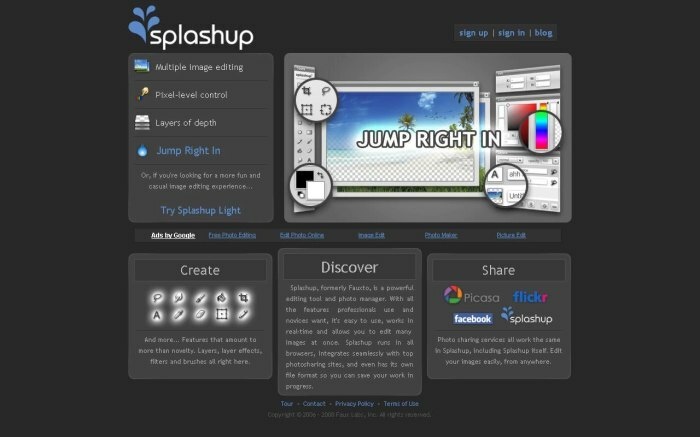 2.Splashup: Formerly Fauxto, it is a powerful editing tool and photo manager.Splashup runs in all browsers, integrates seamlessly with top photo sharing sites, and even has its own file format(.FXO) so you can save your work in progress. 3. 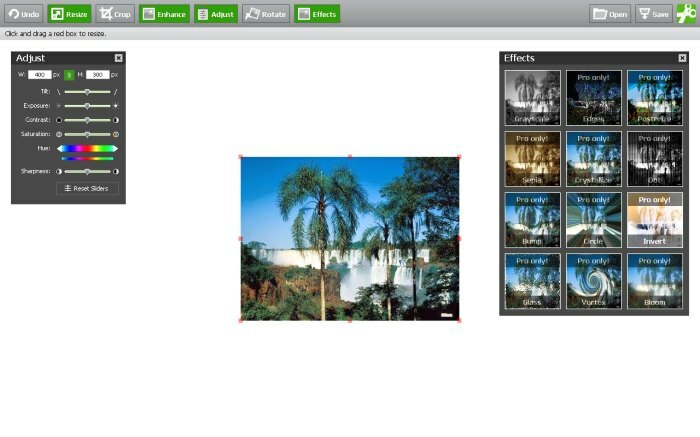 Picture2Life: The site offers plenty of editing and special effect optionsâ€”including collage and animation features. However, We found the interface to be little quirky. All the usual features are present. Only thing that sets it apart from other services is the ability to animate pictures. No direct printing support, but We found it to be a lil faster. 4. Snipshot: The interface is Super clean and simple. No signup were needed, and can output image to 6 different formats including psd. But advanced options like layer support were missing. Also, Most of the effects were for Pro version only, which is $9 per month. 5. 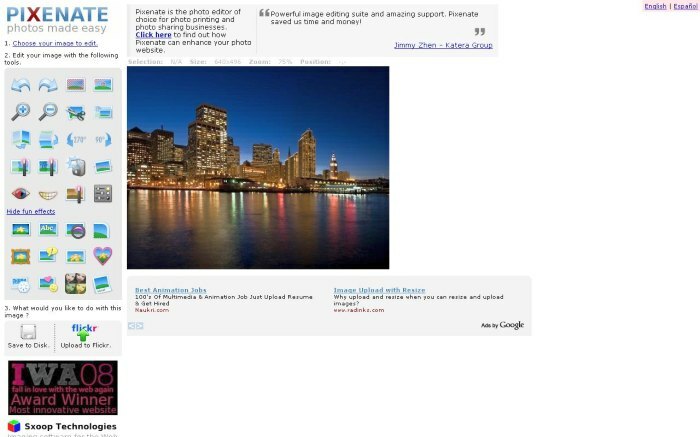 Pixenate: A fairly uncomplicated site and really simple interface is what sets pixenate apart from other sites. Although we found that it was not as powerful and fast. The effects took lot of time to appear. But we like the “Fun effects” feature which had effects like Speech bubbles,TV/Interlace effect etc.